Who’s it for? Orthodox Christians and other Christians interested in the liturgy of death. What intrigued me the most? Schmemann restores a Christian understanding of death and, with it, a proper understanding of Christ’s resurrection. What will you like the most? The implications of Holy Saturday for all funeral liturgies. Implications. 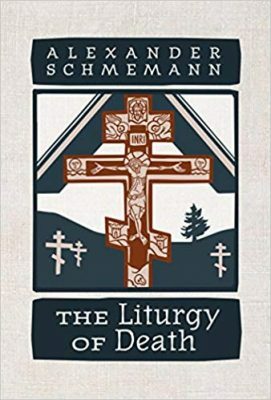 Schmemann suggests that an authentically Christian understanding of death has been lost by American Christians who have fallen prey to the “humanization” and “secularization” of death. He argues that a recovery of a properly Christian understanding of death, namely separation from God because of sin, must be made in order to illumine the radicality and genuine importance of Christ’s resurrection for every liturgy of death. Alexander Schmemann. The Liturgy of Death. St. Vladimir’s Press. 2016. 234 pages. M. Kate Allen presides over Thea House Church in Tempe, Arizona, and is the author of several books, including the Thean Psalter. She is a member of the North American Academy of Liturgy and is a graduate of St. John’s School of Theology and Seminary. Next Post:Pray Tell Poll: Announcement before Communion?